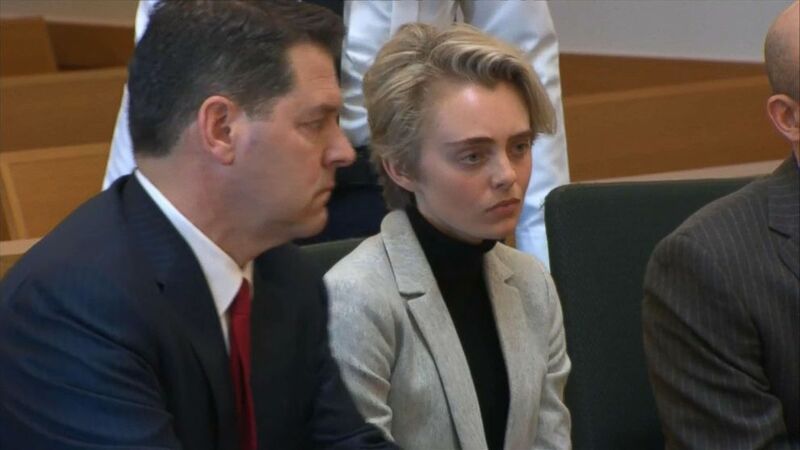 Michelle Carter, who as a teenager sent texts urging her then-boyfriend to commit suicide, is heading to jail for 15 months, a Massachusetts judge ruled Monday. (Matt West/Pool via AP, FILE) Michelle Carter awaits her sentencing in a courtroom in Taunton, Mass., Aug. 3, 2017, for involuntary manslaughter for encouraging Conrad Roy III to kill himself in July 2014. 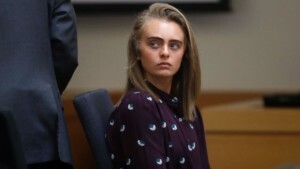 (ABC News) Michelle Carter at her court hearing before being taken into custody, Feb. 11, 2019, in Taunton, Mass. 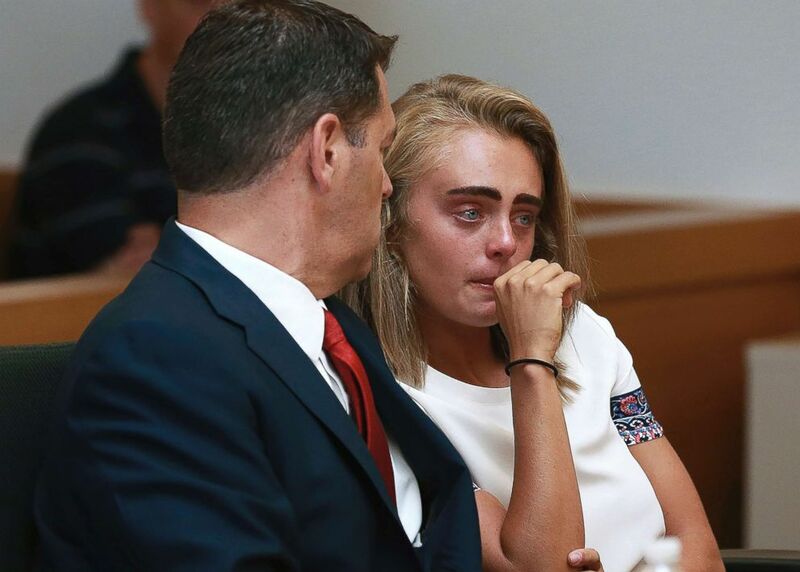 (Charles Krupa/Pool via AP, FILE) Michelle Carter attends a court hearing in Taunton, Mass., June 8, 2017. Carter was convicted of involuntary manslaughter and sentenced to prison for encouraging 18-year-old Conrad Roy, III to kill himself in July 2014.